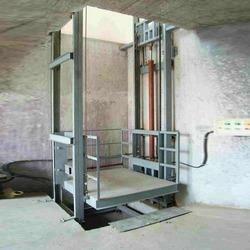 We are manufacturing of all type industrial goods lift as per customer requirements. Sigma Automation manufactures Industrial Goods Lift / Cage Hoist as per client’s specific requirement using superior quality raw material and bought out items. 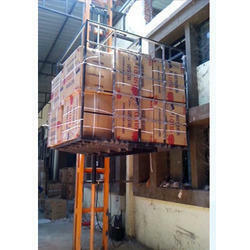 These goods lift are used to lift up and lift down the material handling equipment. which are in quantity and to save the time and offer superior functionality with minimal power consumption. 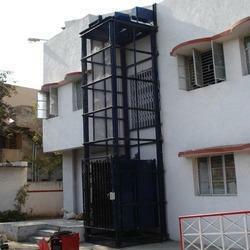 Cage fabricated from as per customer choice steel sections and sheets. Chequered plate cage flooring for antiskid property. Collapsible floor / cage doors with locking arrangement. Cage guided with rollers on “T” guide rail. or fiber sheet or as per customer choice. Hoisting and lowering operations performed by our electric wire rope hoist. Operation through interlocked push button station fixed on floors. or remote control. Limit switches are provided for safety. We are manufacturing of weighing, packing ,lifting and conveying in packing solutions. we are offer Industrial Goods Lift for goods lifting one floor to other floor in industrial use as per customer demand and space. Our products are designed with different options and are attractively designed as per the set trends prevailing in the industry. These products are spacious in nature and require minimum maintenance. We are mfg of hydraulic goods lift as per customer require.this rate is 3 x 3 ft platform and 18 Ft standard height with 1 ton capacity, Rate are Plus- minus as per customer require. 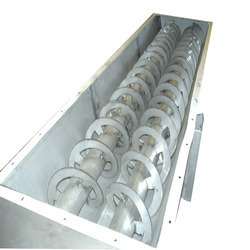 We manufacture screw feeders of clients required size and capacity for various grains ,powders and chemical materials.